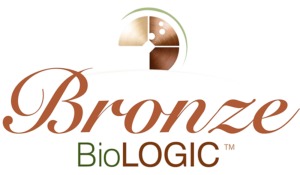 Bronze Biologic is the first and only all-natural, cosmeceutical tanning solution. Derived from sugar cane, DHA is a colorless, odorless, organic compound that reacts with the amino acids in your skin to create a golden-brown tan that is naturally unique to you. The DHA in the formula comes direct from its proprietary manufacturer in Paris, and receives no further dilution or dyes, like other solutions. Organic aloe vera and 99% pure filtered water give the DHA the ability to absorb quickly and evenly, while juice from sugar cane and beets give just enough surface color to guide your tan technician through an even application. Because Bronze Biologic’s formulation is pure and free of additives, your tan will be deeper, longer lasting, will look more natural, with no awkward fading patters, like most other solutions. Our PRO compressor has a precision-needle for efficient, clean applications, and a rapid dry feature, so you never leave wet and sticky. We provide skin-prep wipes to remove any residues and to prime the pores for maximum absorption. For best results, please arrive having just showered, shaved, exfoliated, free of any lotions or deodorants, and wear loose-fitting clothing. Refrain from bathing for a minimum 8 hours. Your tan will reach full development after 24-48 hours. Xtreme Lashes is the global leader in semi-permanent individual eyelash extensions. Each extension is applied to a single natural eyelash, adhered by the only surgical-grade adhesive on the market, creating a longer, fuller, darker lash look. Your lash stylists can create a unique look, based on your preferences. Their range of cosmetics and aftercare accessories were designed to simplify your routine, and will give you everything you need to properly cleanse, protect, and maintain your lash extensions. The Vault is proud to be an Xtreme Certified Salon, and we are in complete compliance with their high standards of sanitation, safety, and application techniques. Founded in France in 2001 by renowned chemist Raphael Duernik, Oxynergy Paris is an incredible pharmaceutical grade blend of peptides, nutrients, antioxidants, and amino acids that boost oxygen consumption for radiant and resilient skin. Raphael’s father was a pioneer in anti-aging medicine, and together they created a network of clinics, with a particular focus on skin care and anti-aging treatments. The challenge with Oxynergy was to maintain the skin’s peak vitality where the cellular energy and oxygen consumption levels are at their maximum. The base of each product is comprised of a unique “Oxygenating Factor”, and each ingredient has been developed to enhance skin penetration, efficiency, and stability, while targeting various specific mechanisms of action. These products contain the highest concentration of actives available on the market, and are free of mineral oils, silicones, parabens, and other harmful preservatives. Fusion Meso is a brand of the Oxynergy Paris Group and is internationally renowned in the field of cosmeticeuticals, medical devices, and Research &amp; Development. The Fusion Meso range of products are designed to correct an array of skin conditions such as flaccidity, expression lines, pigmentation, stretch marks, hair loss, localized fat deposits, and eye bags. The Fusion Meso RF medical device is a needle-free form of electroporation, using powerful radiofrequency that creates transitional channels to enable products to penetrate into the skin, and into each cell within the skin. The number of transdermal pathways available via RF electroporation is 500 times greater than with traditional Iontophoresis. In conjunction with the wide array of concentrated actives, this cutting edge technique will guarantee measureable improvements in the skin and body. Image Now. Age Later. Just like the Oxynergy Paris Group, Image Skincare was created by a team of internationally recognized chemists, and offers evidence-based clinical skincare solutions. This effective and simplistic line of peels, enhancers, and homecare products aims to correct, prevent, and nourish the skin. Endless cocktails of peels and enhancers will correct damage caused by lifestyle and environmental factors, while the serums and treatments will nurture the skin to good health on a cellular level. From innovative UV and LED curing lamps, to 14+ day Shellac polish, to the Vinylux range of weekly rapid-dry polish, CND has reinvented the nail care industry. Through long-lasting and high-quality formulas that maintain the integrity of the hands and feet, CND has earned its spot as the most trusted brand by nail care professionals. Designed for doctors and post-procedure clients, Oxygenetix is a breakthrough foundation formulated to help heal and camouflage the skin, even directly after invasive procedures and chemical peels. Their patented Ceravitae Complex promotes connective tissue growth and collagen production. This breathable formula helps treat rosacea, acne, and other inflammatory skin conditions, helps prevent water loss from the skin, and won’t smudge or break down with sweat and humidity. It is full coverage, long lasting, and feels like second skin, so it’s no wonder that it is the most commonly used foundation on Hollywood sets.